The Battle of El Alamein was the largest conflict to take place in Africa during World War II and a significant turning point in the war. Before General Bernard Montgomery and the British 8th Army defeated Field Marshall Erwin Rommel and his German tank divisions, the Allies had not experienced a significant success on any front during the war. Montgomery’s army stopped the German advance toward Alexandria and Cairo, ensuring the safety of Egypt. The battle signaled the beginning of the end of Germany’s campaign in North Africa, guaranteeing the Allies control of the Suez Canal and the Middle East’s oil fields and significantly shifting the momentum of the war in favor of the Allies. 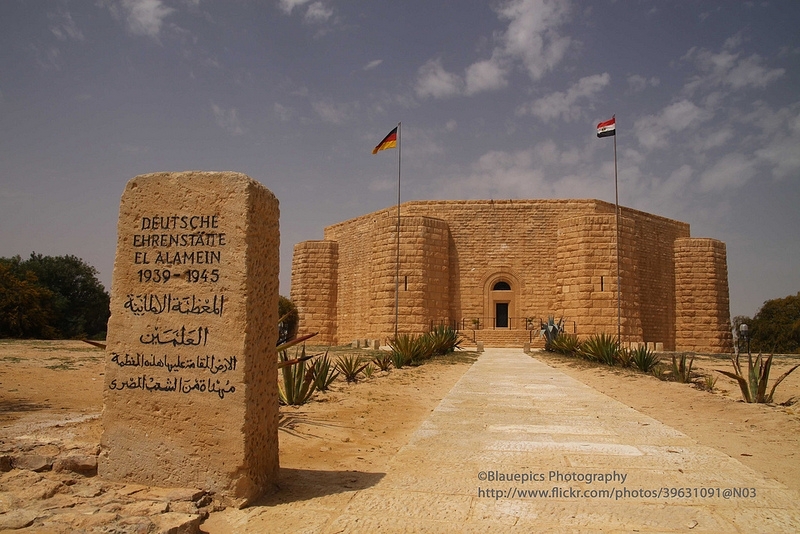 This pivotal location in World War II is west of Alexandria in the desert along the Mediterranean coast near Marsa Matruh. The events here actually took place in two stages. An initial conflict in July 1942 resulted in a stalemate that halted the German advance. Three months later the strengthened Allied force under a new commander, General Montgomery, fought the German forces for 13 days before finally forcing them to retreat. The end of this battle on October 20th, 1942 is being celebrated this year. Today the battleground is memorialized by a museum containing equipment from the battles and explanation of what took place, as well as several cemeteries where the fallen soldiers who fought on both sides of the battle are buried. 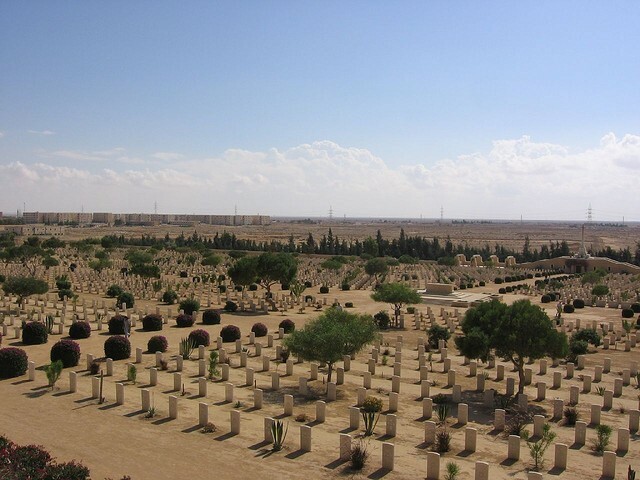 Taking the short trip out of Alexandria to experience the solemn beauty of these cemeteries and learn about the history of World War II in North Africa is a memorable trip at any time, but this October is will be even more special. 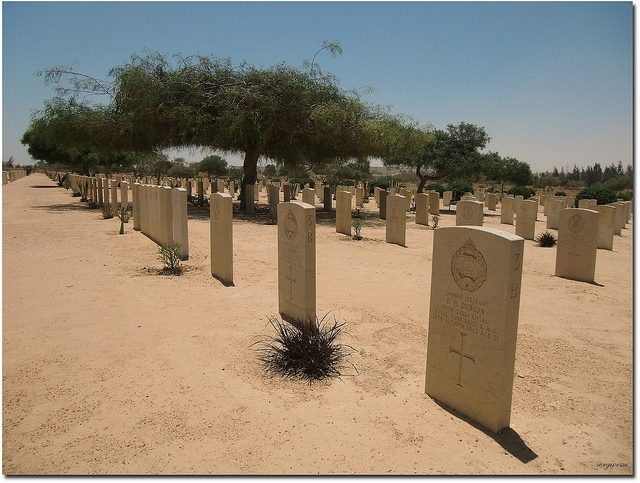 On October 20th 2012 services will be held at the various cemeteries for the soldiers who died here. Young men from Germany, Italy, Australia, Great Britain, France, New Zealand, India, South Africa, and Greece all fought and died on this ground and this day will grant the unique opportunity to remember and celebrate their sacrifice with veterans from the battles and dignitaries from the nations involved.